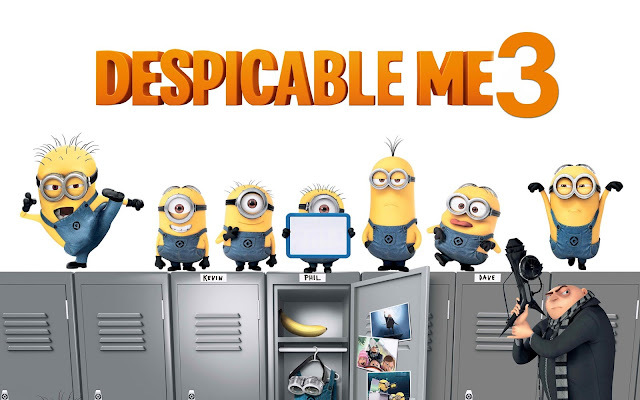 Being Frugal and Making It Work: Despicable Me 3 ~ Rediscover How Good it Feels to be Bad! Steve Carell not only reprises his role as Gru, but also takes on a second part—that of Dru, Gru’s long-lost twin. Kristen Wiig returns as super-spy Lucy, while Emmy, Tony and Grammy Award winner Trey Parker voices new villain Balthazar Bratt, a former child star who has become obsessed with the evil TV character he played in the ’80s. Gru’s most formidable and comedic nemesis to date, Bratt is out to take down Hollywood…and anyone who stands in his way. 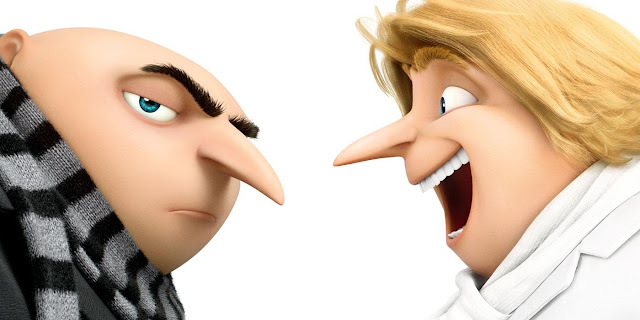 It's always hard to improve on the original, and I will say that is also "Tru" with Gru and Dru in Despicable Me 3. However, that doesn't mean that we didn't enjoy it... because we did! We enjoyed the humor, the new characters, and the fun 80's music! When we first saw Gru's long-lost twin brother, Dru, we all burst out laughing. His hair, oh my goodness, it was hilarious. One bald twin and the other with long, flowing golden locks! Despicable Me 3 will leave you in laughing and seeing double... double trouble!